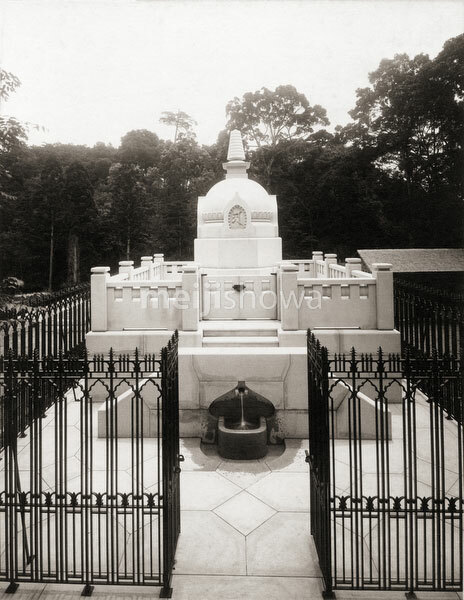 The newly built tomb of Emperor Meiji (1852–1912) and Empress Shoken (昭憲皇后, 1849–1914) in Fushimi Momoyama, Kyoto as it looked in 1913 (Taisho 2, 明治天皇伏見桃山陵). The mausoleum was completed shortly after the emperor’s funeral. Emperor Meiji was the last Japanese Emperor to be buried in Kyoto.